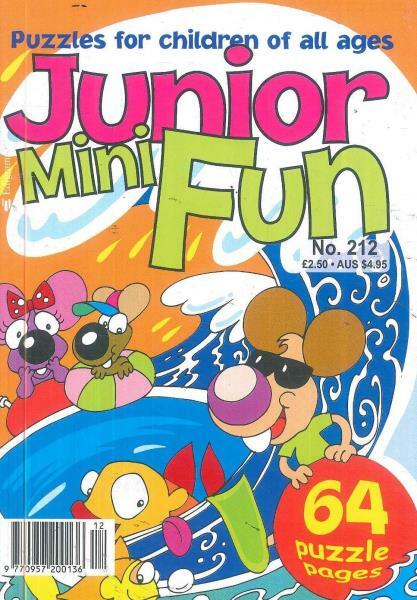 Junior Mini Fun magazine is the most popular one and has a huge demand in the whole of UK, USA and Europe regions. Buy a single copy or subscription to Junior Mini Fun magazine. The rates of subscription of the Junior Min Fun magazine vary from region to region. The all new issues are full of puzzles and crosswords to be solved by children of all age groups. The magazine has a total of 9 issues a year which are available in packs of 4 and 9 issue packs which can be delivered to the readers doorstep over six and twelve months respectively. The magazine had recently redesigned the presentation of its articles to make it more interesting and fun for kids. It has beautiful pictures and is filled with bright colors making it quite appealing to the eyes of both the parents as well as the kids.